When we talk about bands and music, bands who are real and step up to the mark. Bands who provide sounds that seem old, familiar but also fresh, vibrant and put on that awesome live performance. Of recent times The Answer and Rival Sons are names that spring to my mind that fit into this category. South Wales foursome Buffalo Summer are a band I believe can also do themselves justice and join an elite select few, judging by their debut album offering here. gentle rocking number, which I must say to me, is not the strongest of tracks on the album but a nice track none the less. From then on we are treated to some delightful riffs, hooks and melodies throughout this entire album. “Down To the River” is fantastic southern blues rock and roll with great catchy riff work and melodies. This one had me hooked and is one of the highlights on the album. The huge melodies continue with “Truth From Fable”, with its lovely groove and fine bass work from bassist Darren King. The Classic Rock and Roll grooves continue to be the theme for “A Horse Called Freedom”, and drummer Gareth Hunt produces some nice heavy drum laden sounds here, accompanied with some super guitar work from Jonny Williams for the track “Rolls On Through”. Vocalist Andrew Hunt himself has this smooth but yet richness in his vocals and style that is very pleasing on the ear. He makes it all sound so effortless. This album is so full of catchy riffs and grooves along effortlessly from one song to the next and it doesn’t get much better than “March of the Buffalo” and “Keep On Running” quickly follows suit with its rock and roll rhythms and catchy riff work. The album simply does not give up and “Typhoid Mary” throws up some great blues guitar work and we are left with some more sublime guitar playing for the closing rocking track ”Ol’ Duke”. 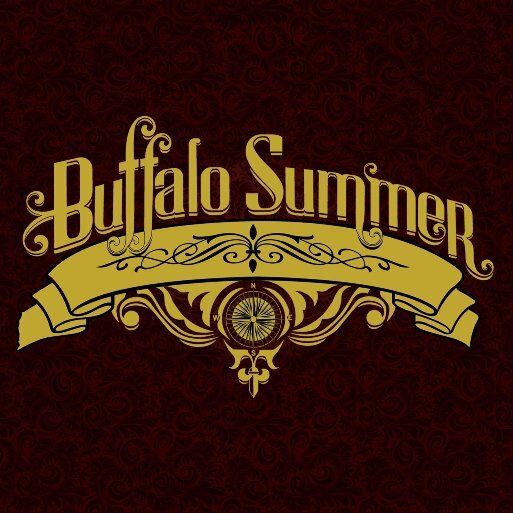 In summary, Buffalo Summer is one of those bands who have managed to infuse some of the Classic Rock, Blues and Rock and Roll sounds of the seventies, and injects it with some of their own style and a modern twist. 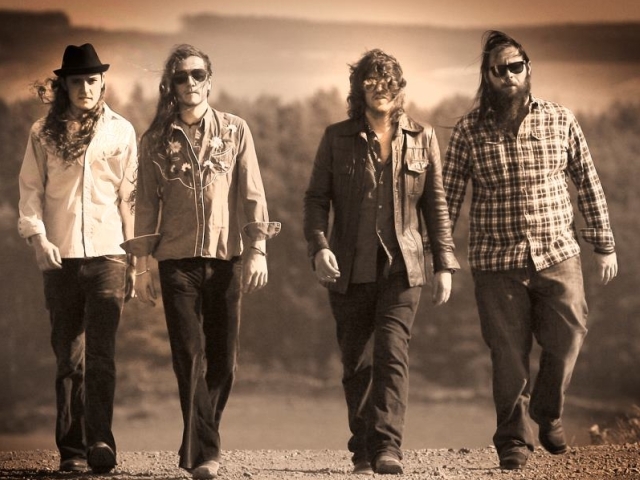 You do get a hint of Zeppelin, a dash of Free and Lynard Skynard, and maybe a bit of The Black Crowes southern soul and charm. They are a band who have excited me since discovering them, much in a similar kind of way Rival Sons did for me a couple of years ago, and have that similar impact as The Answer brought into the Rock and Roll music scene. There is room for these new guys and I hope to see how they pull it off performing live. Judging by the music I hear and videos I have seen, I’m sure this will be just as impressive as this album is a superb first offering which will have you coming back for more.